Cleveland native Machine Gun Kelly is all about putting out strong messages and feelings through his visuals and today he is back, with the video for his single “Invincible” featuring Ester Dean. The video showcases a ton of different sequences including a hospital scene, unplanned pregnancy, street fights and two kids stealing a cop car. Nothing out of the ordinary for MGK and his crew. Please be sure to check out “Invincible” and pick up his new EP, Half Naked & Almost Famous, through Bad Boy/Interscope Records right here. 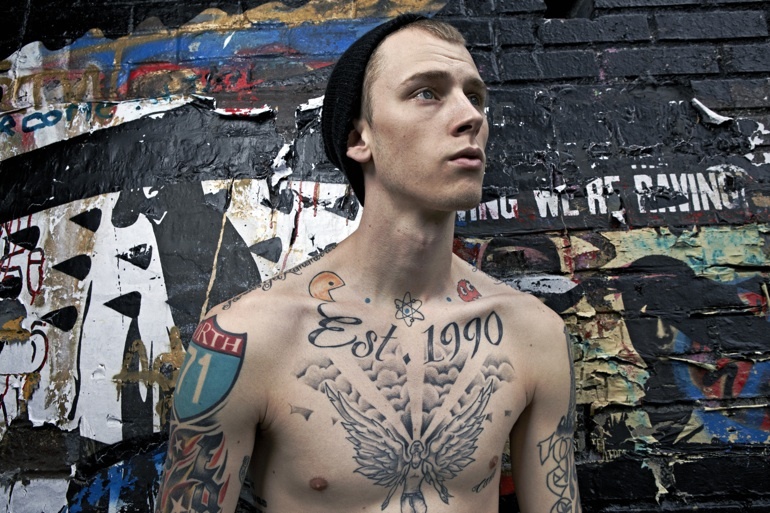 We hope you enjoy the new visuals from Machine Gun Kelly!